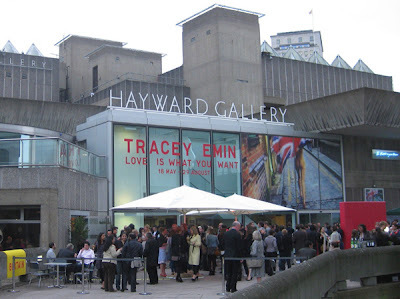 The Tracey Emin exhibition Love is What You Want finishes at the end of September at the Hayward Gallery on the South Bank. Unfortunately, I am unable to make it. Emin is, to quote the Hayward publicity, one of Britain's most celebrated contemporary artists - The Queen of Britart, but not universally loved. A number of the exhibition reviews have been hostile or dismissive but I am a confirmed admirer. 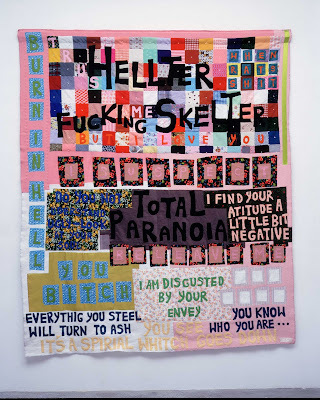 Like most successful artists, in any field, she is a bit of a chancer but she is also charismatic and multitalented (in contrast, I would suggest, to fellow YBA Damien Hirst). 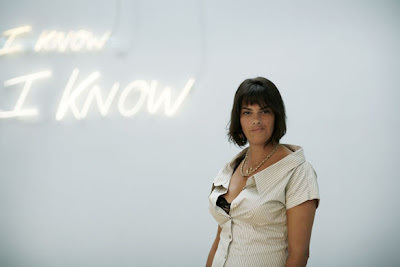 There is an excellent review of the exhibition and Emin's career to date in Nedira Yakir's isendyouthis blog. The catalogue for the exhibition is a hefty volume which does a pretty good job of both pulling together the threads of Emin's work and reflecting both its diversity and its oneness. If, like me, you have missed out on seeing the exhibition then there is also an opportunity to see some of the highlights with Tim Marlow on Sky Arts. But, if you can, why not get along to the Hayward before the end of August and judge for yourself?